Imagine: A meeting in a historic location, with first-class catering and a degree in the city's most popular attraction. Interested? Then just read on. We recommend the historical warehouse floor as a location for your meetings and conferences, presentations or workshops. The floor is located on the level underneath the Wunderland on the first floor of the building. It is run by our partner Nord Event. We are happy to supply you with the necessary technology for presentation (data projector, screen, sound and more…). 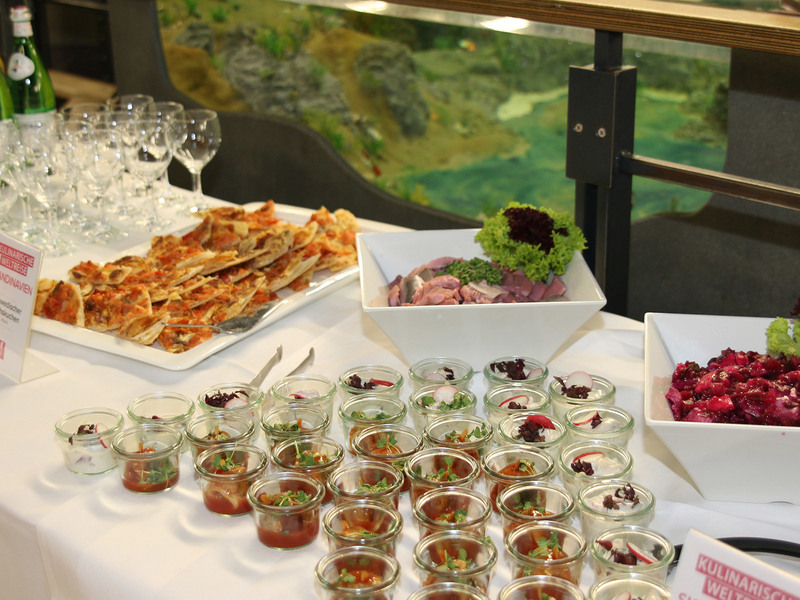 We also offer according catering for breaks or as a dinner after your meeting. There is a possibility to visit the Miniatur Wunderland during breaks or as a completion, to have framework program for your event. The entrance lies directly connected only one floor above. For larger groups the former “Hauptzollamt” (Customs Office) is also a real prospect. It is located 800 meters (9 minutes walking distance) east of the Wunderland.